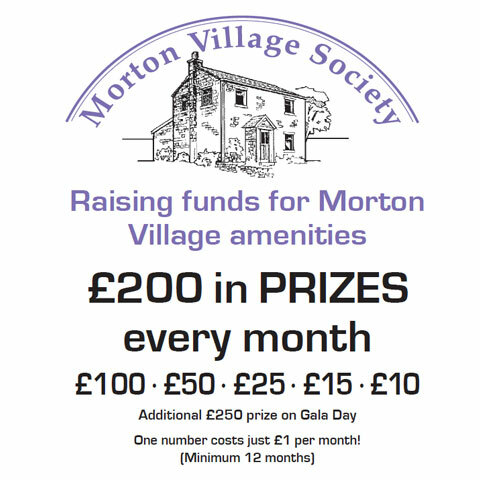 SUPPORT YOUR VILLAGE WITH – EAST MORTONS VERY OWN LOTTERY! Forget Camelot – ALL the profits from this lottery goes back into YOUR Community. The ‘100 PLUS CLUB’ was launched on October 16th, 2001. So called as we were not too sure how many people would sign up. We are thrilled to say we now have around 500 numbers in the lottery representing around 300 homes. As we have about 1000 homes in the village, we still have a long way to go before we see every home represented in the lottery. Since its launch it has raised over £ for village amenities. For just £12 a year you will be supporting your village. The Village Society has no other source of regular income. Money raised from the Lottery is used to pay for the commercial gardeners who maintain the village green (alongside Morton-in-Bloom volunteers who work tirelessly to ensure it looks fantastic) and to help fund work done on other communal areas in the village so enhancing all our lives and improving the place we live. Roughly half the proceeds are returned to members with monthly and Gala Day prize draws. So come on everyone, we could do so much more if you all joined in. Simply download the form above, complete it and post to the Institute. (Please consider setting up a Standing Order as it saves us a huge amount of time). If you are already in it, get in touch if you would be willing to help drum up support on your road.